We all need inspiration from time to time, don’t we? Sometimes something as simple as putting on a fun piece of workout gear or getting new shoes can be enough to up our motivation ante. That’s why we love Words to Sweat By. They’ve got motivational fitness jewelry and fun T-shirts and tons of inspirational items to light your fitness fire. My new personal favorite is the kids’ apparel. Jenn got me a “Who Fartleked?” onesie for Emery when she was born, and the company sent me a couple of goodies to try out, too. 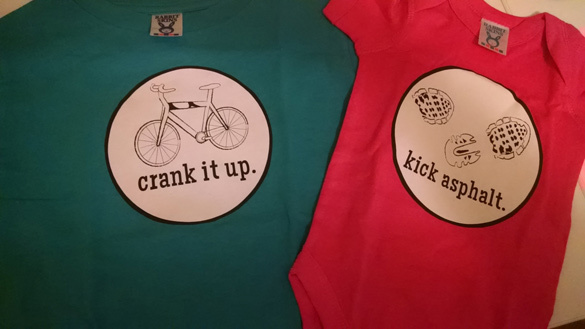 I love putting kids in funny shirts, and Words to Sweat By lets you showcase your fitness prowess in a funny way via your kiddo. A big CrossFit fan? You’ll love this kettlebell shirt that lets you customize it for the birth weight of your kiddo. Then there’s this “AMNAP” shirt that I swear didn’t sink in until a fellow FBG called out its humor. So brilliant it took me a second (or, am sleep deprived). 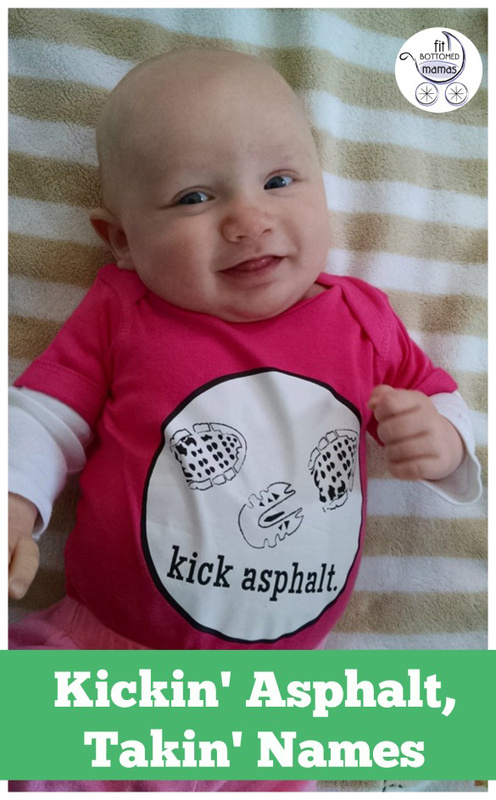 My little asphalt kicker loves her onesie though, see the smile? The tees are super comfy and durable enough to stand up to serious play time. After all, kids should be getting fitness-themed clothing dirty, shouldn’t they? And I love this bike-themed Crank It Up tee, too, although the big brother was slightly less cooperative with the picture-taking, so you get to see it sans kiddo.